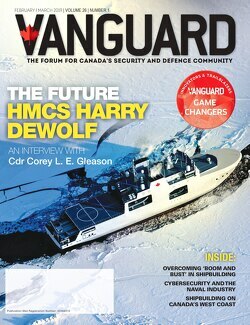 Honorary Colonel David Lloyd Hart, MM, CD, the oldest and longest-serving officer of Canada, died last Wednesday, March 27, 2019, at the age of 101. As a decorated Dieppe veteran, Mr. Hart led an extraordinary life in service to his country. During World War II, he served as a Communications Operator and helped saved many lives. In the Dieppe Raid in 1942, he made a courageous move to contact two units – the South Saskatchewan Regiment and the Cameron’s of Winnipeg – and delivered crucial orders, that saved the lives of over 100 men. For his heroic efforts, on what is documented in history as the the bloodiest single day of combat for Canada’s military in the entire Second World War, he was awarded the British Military Medal (MM) for bravery by His Majesty, King George VI, at Buckingham Palace. He recalled that it was during the most intense part of the battle that he radioed the units that there was a time change for the arrival of the rescue craft getting there one hour earlier. He also had to cut off communication with headquarters in order to relay retreat orders to units who were under heavy fire and could not be reached by headquarters. To read more about his story, go here. “Not only was he decorated for saving lives during World War II but he spent his entire adult life serving Canada and inspiring fellow soldiers both on active duty and in honorary positions,” said Lieutenant-General Jean-Marc Lanthier, Commander Canadian Army. 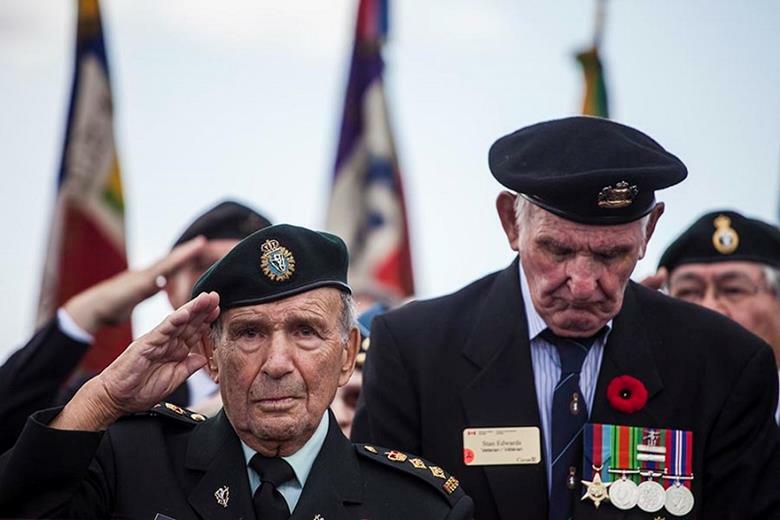 Honorary Colonel David Lloyd Hart salutes during a commemorative ceremony in Dieppe, France on August 19, 2017, which marked the 75th Anniversary of the Dieppe Raid. Photo: ©2017 DND/MDN Canada. After the war was over, Honorary Colonel Hart joined the Army Signal Reserve and moved up the rank to Lieutenant-Colonel in 1961 and commanded the 11th Signal Regiment. In 1965, he retired from active service but continued to serve in honorary positions until his death. “He was an example to all and made a very significant contribution in the strengthening of the Reserve units within the 2nd Canadian Division. A friend and mentor to many, from soldiers to commanders, his absence will be heartfelt,” added BGen Carignan. Honorary Colonel Hart was an honorary member of the Canadian Army for over 40 years. He was the Honorary Lieutenant-Colonel of 712 Communications Squadron from 1976 to 2013, and then the Honorary Colonel of 34 Signal Regiment in Westmount, Quebec, from 2013 until his death in 2019. He was one of the first recipients of the Communications and Electronics Colonel-in-Chief’s Commendation. In 2013, he was presented the commendation by Anne, The Princess Royal, for a lifetime of outstanding service to the Communications and Electronics Branch. He was also awarded the fourth clasp to his Canadian Forces Decoration (CD) recognizing over 52 years of loyal and dedicated service to Canada. “When looking at the life of this Canadian military icon, we are truly thankful for his dedication, courage and contribution to the military and Canadians,” said LGen Lanthier.